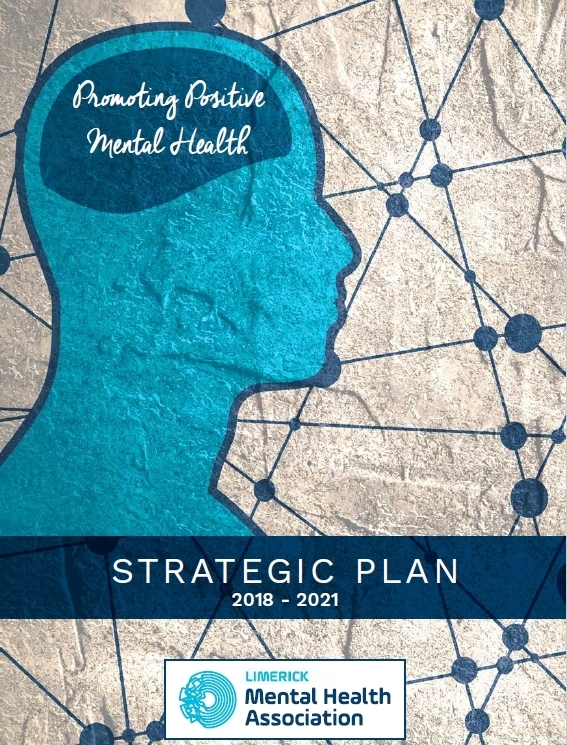 Our strategic plan marks an important milestone in the development of Limerick Mental Health Association since it was formed in 2002. At the core of our plan is the expectation that given the right information and support everyone can enjoy good mental health and well-being. We do this by raising mental health awareness in our community and supporting people experiencing mental health issues. Importantly we work in partnership with users of the service, their families as well as community services. A Limerick where people value their own and each others’ mental health as an important part of living well. A Limerick where people who experience mental health difficulties can recover and reach their full potential within an informed and supportive community. To promote positive mental health and well-being in the Limerick community. To support adults on their recovery journey through peer-led engagement and activities. 1. Offer quality supports and services which meet the needs of our members. We will run wellness programmes and classes and also introduce new ways to show recovery pathways. Additionally, we will offer peer support from people with lived experience of mental health issues. 2. Promote community mental health and well-being through information, training, events and campaigns. We will run Limerick Mental Health Week every year and also participate in local, regional and national activities to raise mental health awareness. Through our website and social media, we will provide information to people with mental health difficulties. 3. Strengthen our links with families, supporters, communities and the HSE to improve our members’ recovery journeys. Our goal is to raise awareness within the HSE of the role and services we offer at LMHA. Also, we will collaborate with Mental Health Ireland and other support services in the region to promote mental health, build relationships and share best practice. 4. Ensure our organisation is effective and working to best practice standards. Our aim is to increase our staff and volunteer numbers in order to grow our membership and services. Another way in which we will improve our service is by training staff and volunteers on new recovery based techniques. Engaging in research is also a key goal of our strategy. In doing so, we can strengthen our understanding of mental health and as a result can improve our services. For each goal we have specific objectives, and also actions to meet those objectives. All of these concepts were put together into a single document; our Strategic Plan 2018‑2021.